Q: Can this dress be made shorter? Knee length or tea length for example. A: Hi, Yes we can do that. Please include your request in your order comment. You will be able to leave a comment at the last step checking out before making payment. Thank you for contacting us. Q: Can this dress be made shorter - tea length or knee length? A: Hi Hazel, Yes we can do that. Please include your request in your order comment. You will be able to leave a comment at the last step checking out before making payment. Thank you for contacting us. Q: Is it possible that I can I see how this dress will look in Fuchsia, Top & Bottom? 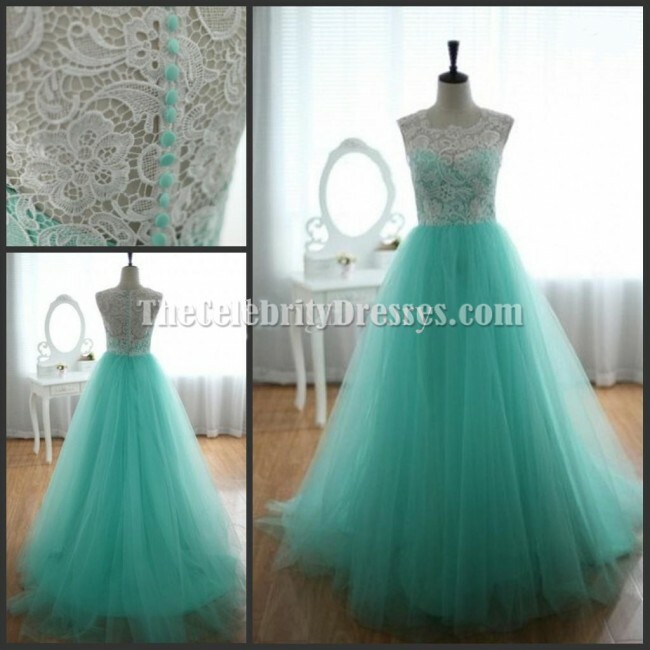 A: Dear Esther, I am sorry we haven't taken any pictures of this dress in other colors yet. 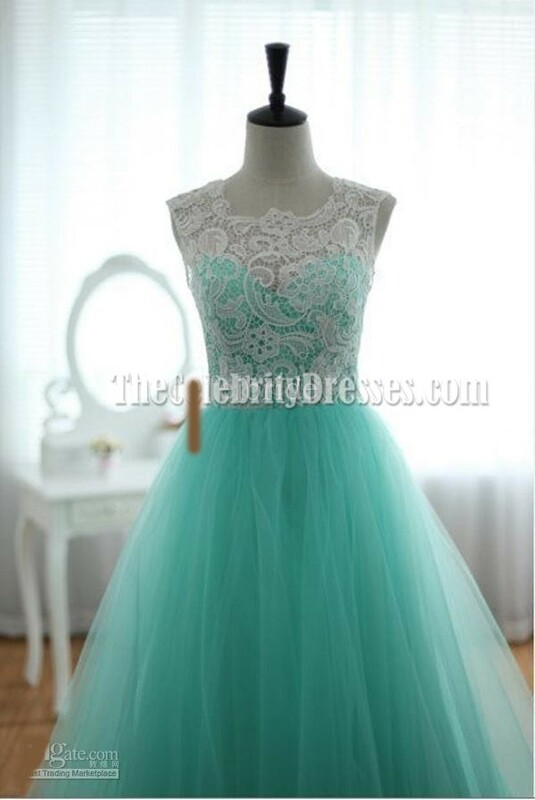 This dress is made of tulle and lace fabric. You can just refer to the chiffon fabric color chart for the colors. Thanks for contacting us. Q: would it be possible to take out layers so it's not as puffy? A: Dear mei, Yes, we can do that for you. Please include your request in your order comment. You will be able to leave comment at the last step checking out before making payment. You can also email us or contact us by live chat after your order is placed. Thanks for contacting us. A: Dear Rebecca, This dress has a built in bra. You can wear it without a bra. Yes, we can raise the back a little if you like. Please include your request in your order comment. You will be able to leave comment at the last step checking out before making payment. You can also email us or contact us by live chat after your order is placed. Thanks for contacting us. Q: If I was to order this dress would it look exactly like it does in the photo? A: Dear Kimber, Our dress is an identical recreation of the original. Thanks for contacting us. Q: I was wondering how many layers there are to the skirt? Is there a lining/petticoat layer, or is it all tulle? A: Dear Lori, The skirt is made of five layers( two layers of lining and three layers of tulle). Thanks for contacting us. A: Dear Claire, The lace will be the closest according to our fabric samples. This dress is made to order. Currently new orders will arrive in about two to three weeks. Could you please tell me when you are going to wear the dress please? If you have any other questions, please feel free to let us know. Thanks for contacting us. A: Dear ali, Please add the dress to your cart to estimate shipping fee. If you want us to ship your dress by EMS. Please include your request in your order comment. You will be able to leave comment at the last step checking out before making payment. You can also email us or contact us by live chat after your order is placed. Thanks for contacting us. I have received my dress and it's gorgeous. It looks just like the picture and fits perfectly. Thank you so much for having a great quality and quick service. Definitely recommend ordering from this seller.